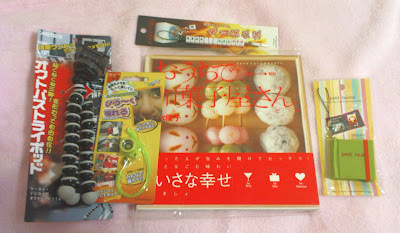 My Wey of Life: My Package from Japan has Finally arrived!!! I got my seamail package from Japan yesterday! Finally!! 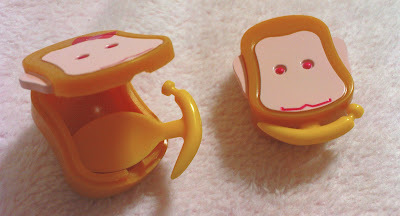 I've been waiting soooo long..
and things for my Bento! 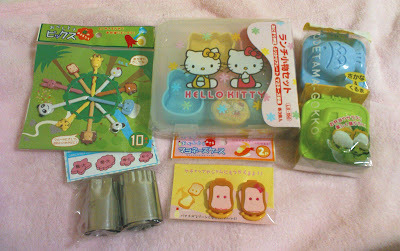 Hello Kitty onigiri molds, egg shapers, picks, flower cutters and the monkey mayo containers. 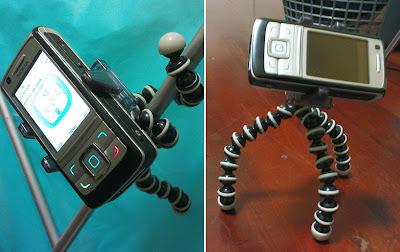 Look at this tripod! It is so convenient! Not like the usual tripod, have to stand on a flat surface. 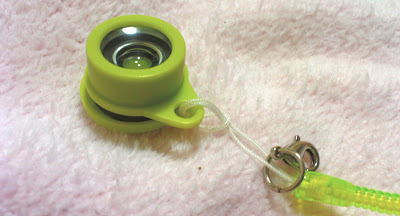 This my friend, can twist and turn and hang on anything! 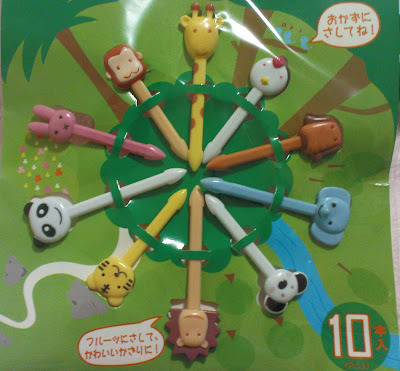 I bought this because it is cute. As you know, I love photographs, I love keeping memories and there! 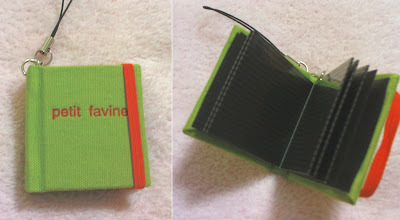 A mini Photo album for me to carry. 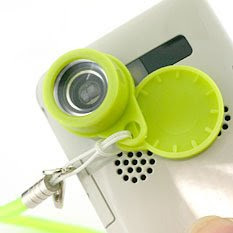 Just attach the lens on your mobile phone camera. The lens gives a special effect and turns a photo into a special and funny one. Take photos of your face, your friend's face, your lunch, your favourite cafe, etc with this funny effect! Look at the difference with and without the lens. Ignore my messy room. 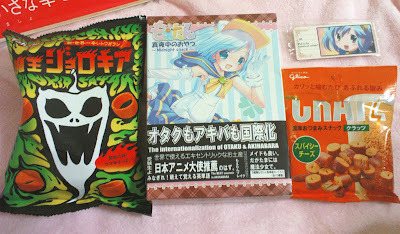 Let me introduce to you, my food picks! Isn't it cute?? I will show you them in use next time because it's still in the packet. 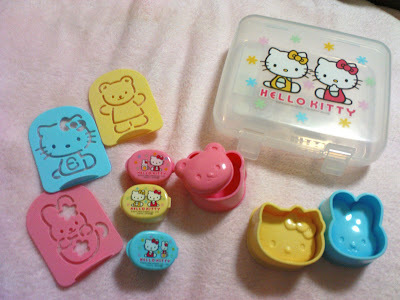 The Hello Kitty Onigiri Mold, stencils and mayo container. 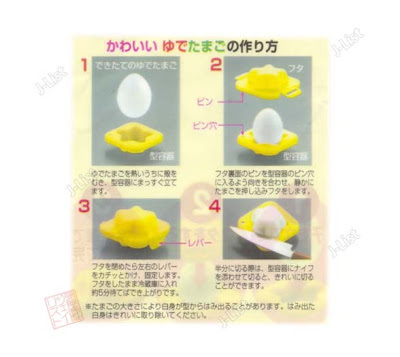 This is the Egg shaper. How do we use it? Look at the image below. 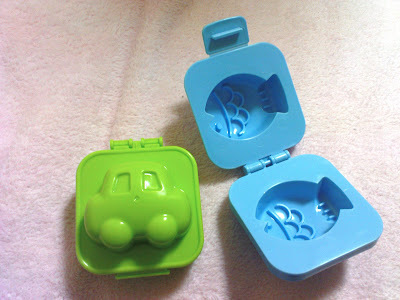 The car mold is for my sister, and the fish mold is mine. Look at this!!! Kawaii right? There's even a banana lookalike scoop for you to scoop up the mayo. This is so convenient and creative! One thing i'm sure is, everything is Made in Japan.. Not China! except the tripod :P I love the tripod.